A dispute over cost overruns could stop the 70 pct complete expansion of the Panama Canal. That’s ludicrous. American ports have already invested to take the bigger ships the wider canal will allow. With arbitration stalled, it’s time for a strong mediator to step in. 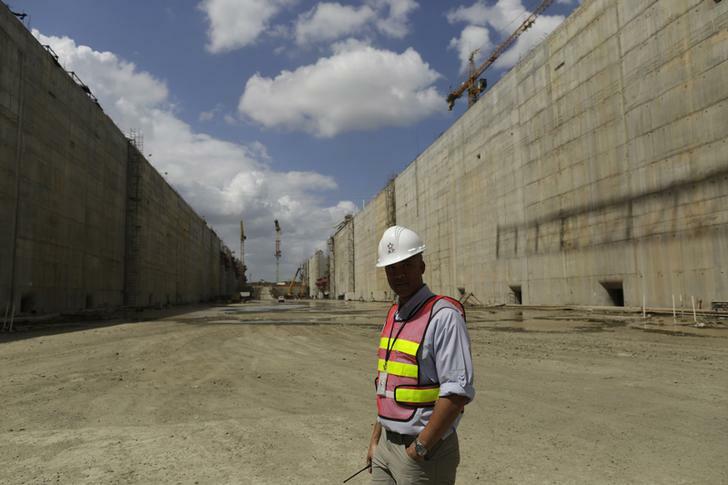 A Panama Canal security agent looks on during a tour organized by the Panama Canal authorities of the Panama Canal Expansion project construction site on the Pacific side in Panama City. A planned expansion of the Panama Canal ran into trouble after talks between the canal administrator and a Spanish-led building consortium fell apart and work ground to a halt. Talks broke down late on Feb. 4 between the contractors and the Panama Canal Authority over how to finance $1.6 billion in estimated cost overruns. The two sides were still in contact with an aim to restart negotiations, according to Reuters. The construction consortium, led by Spain’s Sacyr with Italian, Belgian and Panamanian partners, said the breakdown could lead to a loss of 10,000 jobs. It said it was committed to continuing negotiations to find a solution to the impasse. Jorge Quijano, the canal administrator, said the canal would finish the expansion by 2015 with or without the current consortium. However, he said he was open to continue talks and demanded the contractors resume work.